A stunning new cookbook containing more than 100 recipes for modern Indian cooking with spice from one of the UK’s most recognised Indian chefs Vivek Singh, executive chef of The Cinnamon Club. 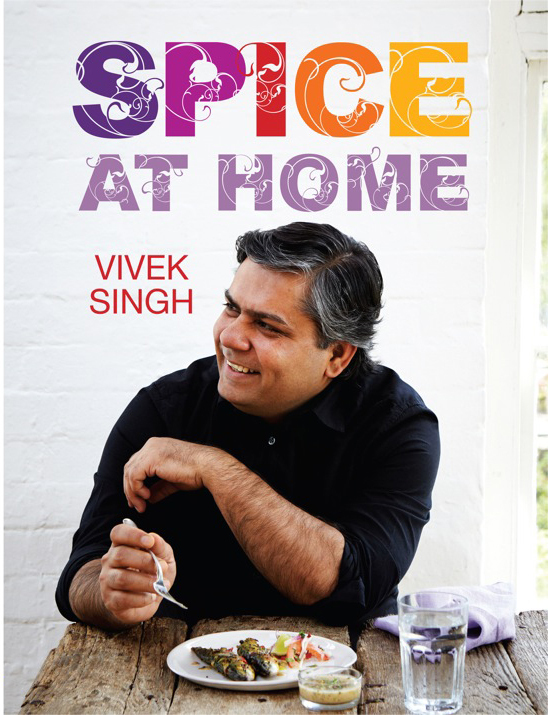 Vivek Singh’s recipes for Spice at Home are a brilliant marriage between Indian spicing and Western culinary styles. Vivek’s mantra is ‘evolve’ and this collection includes both modern dishes from his home in India and his home in Britain, with many that twist the traditions – reflecting two cultures connected by spice. Full of tempting choices for breakfast such as Indian pancakes and duck egg curry, lunch ideas including chilli chicken toastie and spicy fish fingers, and supper selections from crab and curry leaf risotto to lamb shank rogan josh. Beautiful photography by Lara Holmes completes this showcase. Vivek Singh is one of Britain’s best-known Indian chefs. He was classically trained in India by the world-famous Oberoi Group and he has been executive chef of The Cinnamon Club since its launch in 2001. Vivek went on to launch Indian restaurant Cinnamon Kitchen in the City in 2008, with adjoining cocktail bar Anise, and in 2012 he set up shop just off Carnaby Street with Cinnamon Soho. Vivek is not only an award-winning author, but also one of the most respected chefs in the UK, and one of the most recognisable faces of Indian cuisine on TV. He has an impressive media profile and is often on BBC’s Saturday Kitchen and MasterChef, and UKTV’s Market Kitchen. Vivek is author of The Cinnamon Club Cookbook 2003, The Cinnamon Club Seafood Cookbook 2006, Curry: Classic and Contemporary 2008 and Cinnamon Kitchen: the Cookbook 2012. Previous Post: Vivek popping up in Portugal! Next Post: Vivek appearance on Saturday Kitchen!